FDF has cleaning crews available for cleaning offshore rigs and platforms. 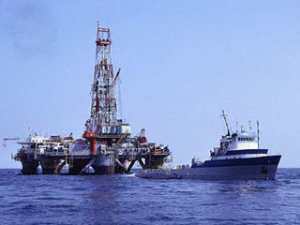 Our crews have many years of experience cleaning deepwater and jack-up rigs in the Gulf of Mexico. We can also perform cleaning on production platforms and for decommissioning. All employees have the necessary training and certifications needed to complete your job safely. FDF has cleaned numerous rigs in the Gulf of Mexico, working for companies such as Shell, Chevron, Anadarko, Marathon, and more. We offer the latest technology and safest ways to clean mud systems. Our supervisors have the knowledge to handle operational challenges with immediate results, saving downtime.